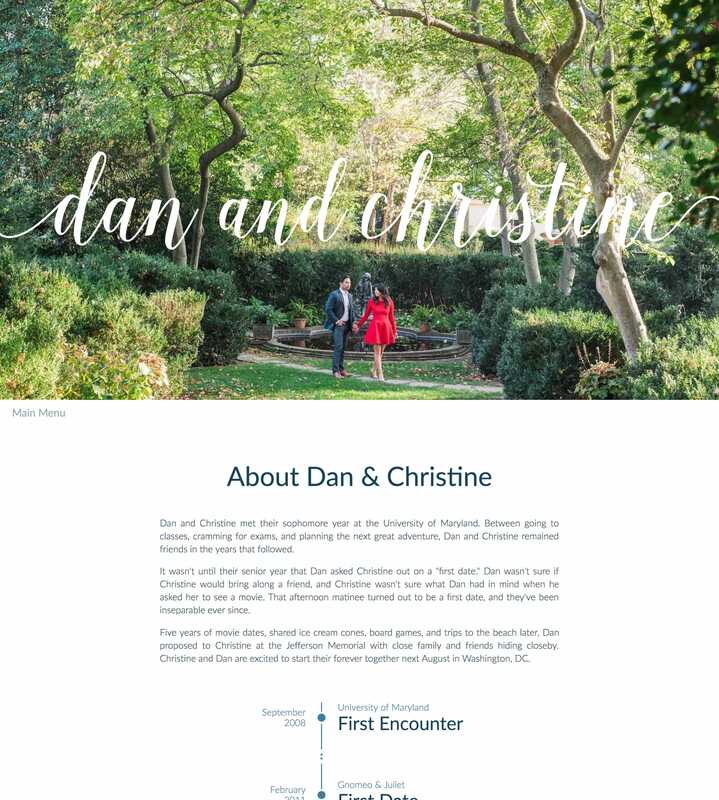 Long scrolling One Pager announcing the wedding of Dan & Christine. Nice little touch with the Emoji couple meta Title. This website was built to announce our wedding and for wedding guests to find out about dates, travel info, accommodations, etc... I had a lot of fun animating all of the elements. My focus was on smooth transitions and high frames per second. I'm especially proud of the opening animation of "dan and christine". I wanted to make it look as if it was being hand drawn. It was implemented using svg masking and stroke offset animations. Similarly animated are the church and hotel icons in the "Our Wedding" section. Lastly, I had a goal to keep the navigation out of the way, while keeping it very accessible. My approach was to make the menu gradually visible as you approach the element.